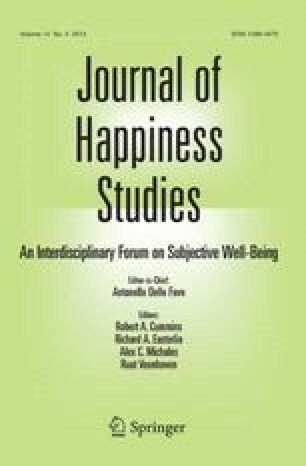 This theory paper seeks to explain an empirical puzzle presented by past research on the relationship between consumption and subjective well-being (SWB). Research has shown that people in rich countries are, on average, significantly higher in SWB than people in poor countries, which is consistent with a strong link between one's overall level of consumption and one's SWB. However, when individuals within the same country are compared, income has little relationship to SWB above the level at which basic needs can be met, suggesting that higher levels of consumption may not be linked to higher levels of SWB. This link between consumption and SWB when nations are compared to each other, but not when individuals within a given nation are compared to each other, presents a puzzle. As a solution, I propose that economic development leads to higher levels of national average SWB not by increasing consumption (again, with the caveat that this statement excludes situations where basic needs are not being met), but by creating more individualistic cultures which encourage their members to pursue personal happiness over honor and meeting social obligations. Whether or not this is seen as a socially positive development depends in a circular fashion on the cultural values of the person making the judgement.